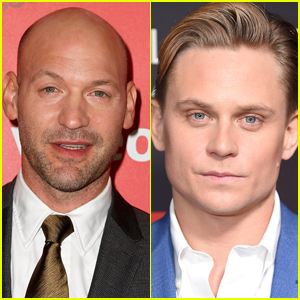 Corey Stoll & Billy Magnussen Join Cast of 'Sopranos' Prequel Film! Corey Stoll and Billy Magnussen are joining the cast of the upcoming Sopranos prequel movie, The Many Saints of Newark! The 42-year-old and 33-year-old actors will be joining Alessandro Nivola, Jon Bernthal and Vera Farmiga in the cast, Variety confirmed on Tuesday (January 15). The film is set during the Newark riots in the 1960s, and is said to be a look at the formative years of New Jersey gangster, Tony Soprano. Series creator David Chase co-wrote the script with producer Lawrence Konner. Alan Taylor is set to direct. 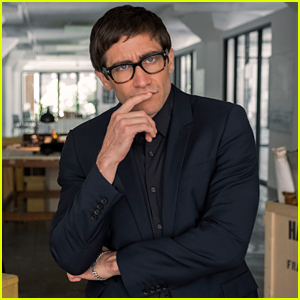 Jake Gyllenhaal stars in the trailer for the satirical thriller Velvet Buzzsaw! The film is a satirical thriller set in the contemporary art world scene of Los Angeles, where big money artists and mega-collectors pay a high price when art collides with commerce. Rene Russo, Toni Collette, John Malkovich, Zawe Ashton, Natalia Dyer, Tom Sturridge, Daveed Diggs, and Billy Magnussen also star in the new film. Taissa Farmiga is a floral beauty while attending the Rising Star Showcase at the 2018 Napa Valley Film Festival at Materra Cunat Family Vineyards on Saturday (November 10) in Napa Valley, Calif. The American Horror Story actress was joined at the event by fellow rising stars Alexandra Shipp, Camila Mendes, Tye Sheridan and Billy Magnussen. Later in the day, Camila changed into a black dress while Alexandra switched into a red dress to attend the Festival Gala with Spare Room co-stars Skyler Samuels and Thomas Cocquerel. James Wolk looks handsome in his suit and tie on the red carpet for the premiere of Tell Me A Story on Tuesday (October 23) at Metrograph in New York City. 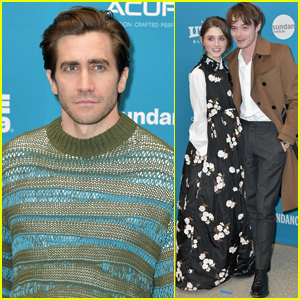 Also in attendance at the event were co-stars Paul Wesley, Billy Magnussen, Danielle Campbell, Kim Cattrall, Dania Ramirez, Sam Jaeger, Davi Santos, Zabryna Guevara, Dorian Missick, and Kurt Yaeger. Ugly Betty actress Becki Newton was also at the premiere. Tell Me A Story takes the world’s most beloved fairy tales and reimagines them as a dark and twisted psychological thriller. Set in modern-day New York City, the first season of this serialized drama interweaves “The Three Little Pigs,” “Little Red Riding Hood” and “Hansel and Gretel” into an epic and subversive tale of love, loss, greed, revenge and murder. The first season will debut on October 31. FYI: Danielle is wearing a Rasario dress and Stuart Weitzman shoes. Billy is wearing Brooks Brothers.